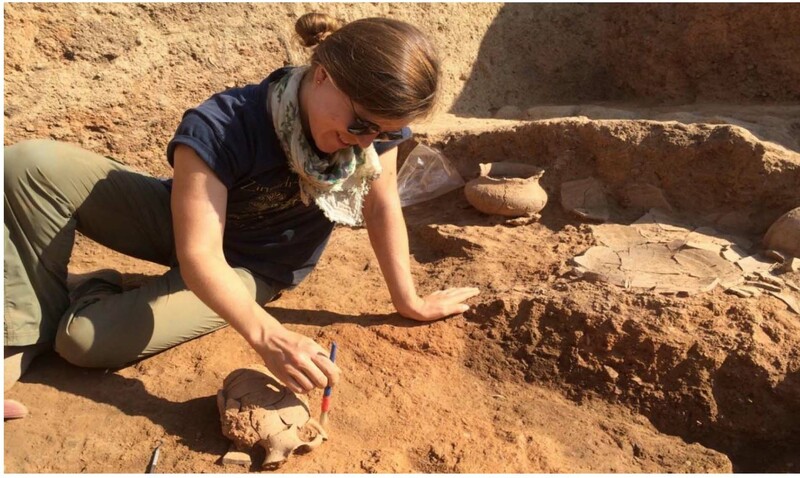 Undergraduate and graduate student assistants wanted for the Chicago-Tübingen excavations (August 3 -September 9) at Zincirli, Turkey, the Iron Age (900-600B.C.) and Middle Bronze Age (2000-1600B.C.) city of Samal. Help us uncover the history of this city, once the capital of an Aramaean kingdom and later a stronghold of the Assyrian Empire of Mesopotamia Learn excavation techniques, pottery and artifact analysis, remote-sensing technologies, mapping, and GIS in the field. Live in a Turkish village, make friends from Turkey and other countries at this multinational project, and explore nearby sites on the weekends. The Art History and Archaeology Graduate Student Association at the University of Missouri invites submissions from graduate students that investigate marginalized topics and call attention to many issues that remain overlooked or outside the central focus of our fields. Topics from any historical period of Art History, Archaeology, and other fields related to visual and material culture will be considered for twenty-minute presentations. 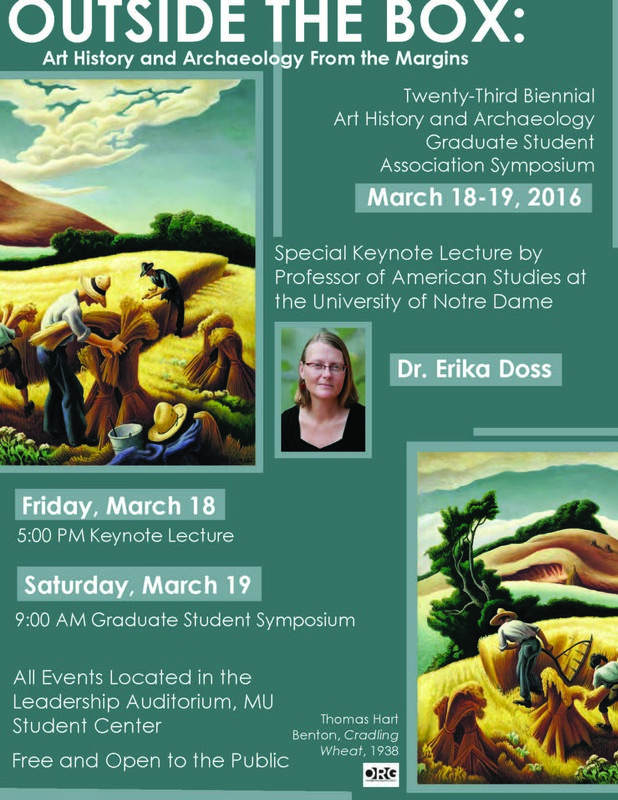 The keynote lecture will take place on Friday evening and student presentations will be held on Saturday, March 19. Proposals should consist of a 250-500 word abstract and a CV. Submissions should be submitted electronically to muahasymposium@gmail.com no later than January 10, 2016. Please feel free to circulate this CFP and the Symposium flyer with any related departments at your institution. This year the conference’s setting in Boulder, Colorado merges with our theme: what is bolder theory? Across the academy we sense an increased interest in things, in the matter of life. At the same time archaeologists are taking descendent and stakeholder communities seriously, including an increased commitment to consider alternate, non-Western philosophies and values. Collectively these ideas are provoking bold theorizing in archaeology. The plenary session will get us thinking about bold theory through considering the congruence of non-Western philosophies and theoretical approaches that take, to varying degree, a relational perspective on people and things. While issues of ontology, indigenous philosophy, animism and temporality will form the basis of the plenary session conversation, we encourage participants to consider bold theory in the broadest sense and sessions need not be limited to these topics. Formal museum etiquette and the discipline of art history have long instilled in their audiences a compulsion to look but not touch. How might we as historians and theorists revaluate the way in which we examine art in order to move beyond solely a consideration of the visual? Can methodologies be bolstered or problematized when we address and approach art with varying sensory engagements beyond the visual? How can works of art stimulate the senses, and how have the senses influenced the creation and interpretation of historical or contemporary objects? What can the museum experience tell us about curatorial and display techniques that move beyond the visual to create narratives and illuminate histories of objects and experiences? More recently, the realm of the digital humanities and emerging technology has facilitated the re-creation of art objects and architectural settings in virtual environments. What effects might this emerging virtual frontier have on how historians understand three-dimensional objects without their tactile qualities, and the phenomenological impact of inserting ourselves into these virtual worlds? This conference is open to both historical and contemporary topics, and may relate to things considered “fine art” as well as those encountered everyday. Submissions are welcome from current graduate students, as well as those who have completed their graduate studies within the last year, from across Canada and the United States conducting research in all disciplines that engage with visual and material culture. In light of our theme, we seek to assemble a diverse group of scholars in order to foster interdisciplinary discussions. Each presenter will be allotted twenty minutes to deliver her or his papers, followed by a ten- minute discussion period. If you are interested in speaking or performing at Context and Meaning XIV, please email an abstract of no more than 300 words with the title of the paper, along with a separate document that includes a brief letter of introduction, to gvca@queensu.ca. Abstracts should be submitted by Friday, November 6, 2015. 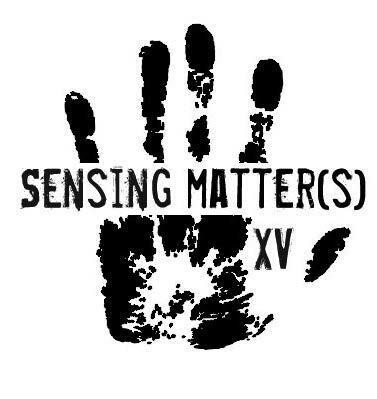 As a blind panel will review all submissions, please ensure that your name and the title of your paper are included in your letter of introduction, but that your name and other identifying marks are left off the abstract. We thank all that apply and will only contact those who have been accepted. Accepted applications will be notified by December 5th, 2015. Landscapes are dynamic, meaningful, socially constructed understandings of space, which incorporate elements of the physical world with human perception. In recent years, archaeology has seen an expansion of landscape-oriented research, though many of these projects use different types of evidence and methods. ARC 31.2 seeks to examine new advances in landscape studies within archaeology, and re-evaluate how landscapes are approached and employed in the discipline. Archaeologists have attempted to reconstruct ancient cultural landscapes using a variety of methodological and theoretical approaches ranging from geomorphological models to phenomenological investigations. A significant complication to both of these approaches, however, is a fundamental incompatibility between contemporary understandings of landscape and the targeted ancient landscapes they seek. How archaeologists construct and make use of evidence – from digital elevation models to the sensorium – have profound impact on the archaeological landscapes they bring to life. • Critiques or appraisals of change within the discipline of ‘landscape archaeology’. Abstracts of no more than 500 words describing your potential paper should be sent to Ian Ostericher (ido20@cam.ac.uk) by the 15th of November 2015. First drafts of papers (of no more than 4000 words) will be due in early March 2016 for November 2016 publication.